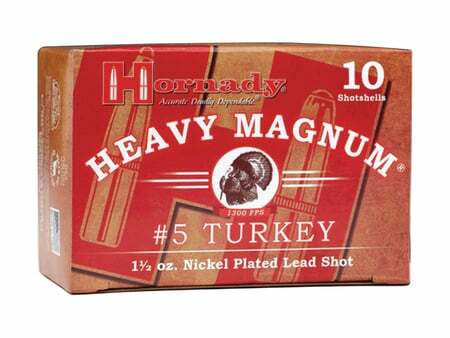 Nickel-plated lead shot. Shot deformation is minimized enabling more shot to reach the intended target. Range-extending baffling system of the patented Versatite wad allows hunters to achieve lethal penetration out to 50 yards. Wad strips clean from the pellets in flight without disrupting them. Designed for optimum performance in shotguns using improved cylinder or modified chokes. 10 rounds per box. 25 boxes per case.